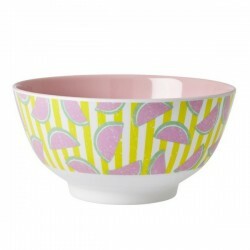 Lovely fresh and bright melamine bowl two tone with watermelon print by Rice. This spring collection by Rice "in Color we Trust" is just one happy statement from one end to the other - a mix of dots, fruits, floral, lace ..Put a smile on your face with these gorgeous and fun prints from RICE. 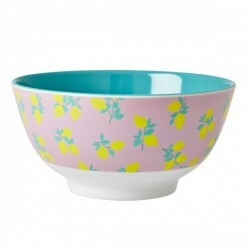 Two tone melamine bowls are perfect for cereal, pasta, rice, soup - anything delicious! 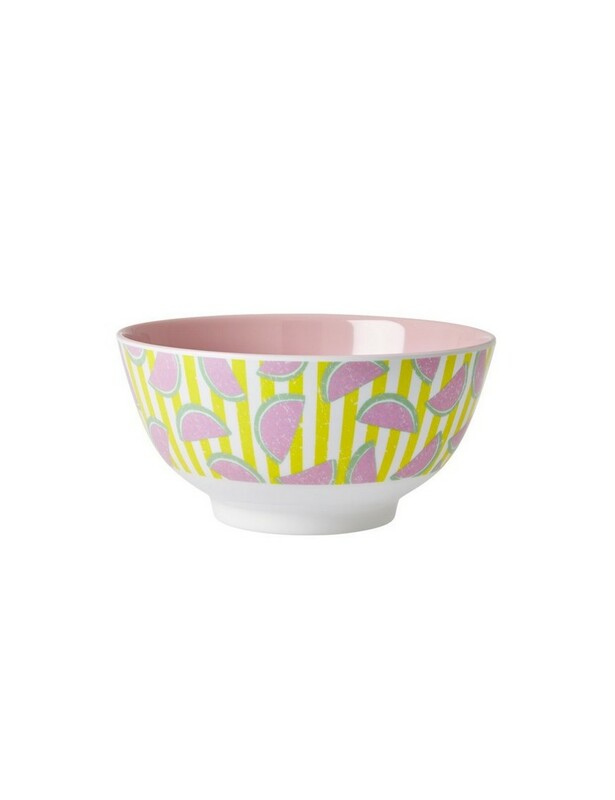 Details dishwasher safe. Not for use in microwaves.